With another year of ArtPrize behind us, it’s important to remember all of the other wonderful forms of art the city of Grand Rapids has to offer throughout the rest of the year. 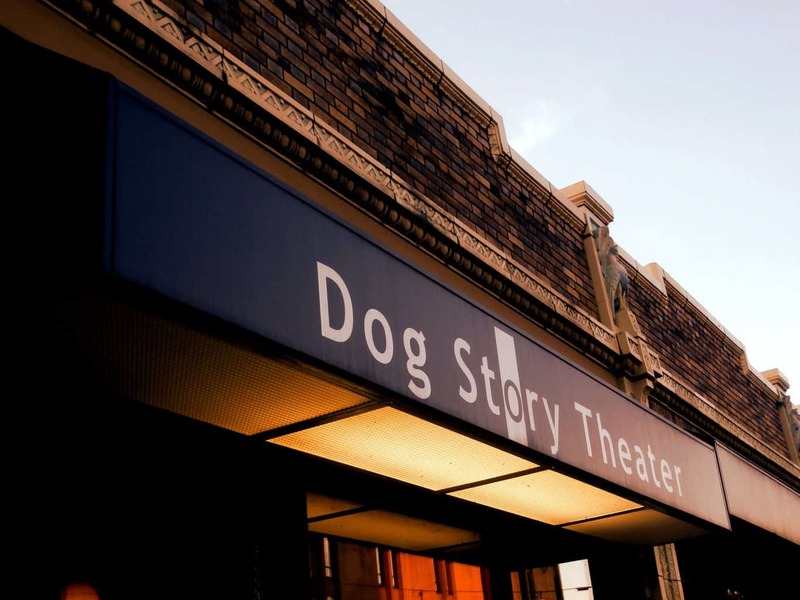 If performance art is what you’re into, look no further than Dog Story Theater, located in the heart of downtown. “Dog Story Theater really is a unique venue for Grand Rapids. It is a performance space that allows local artists to produce live theater at affordable rates. We are constantly amazed with the volume of creativity that comes through our space. There really is nothing like it anywhere else in town,” saysChuck Fortenbacher, vice president of DST. Named after an infamous monologue in the one-act play The Zoo Story by Edward Albee, Dog Story Theater traces its roots back to 2007. Bradley Briegel is a former board member who has been involved since the theater’s early days. “DST was formed by Jay Harnish, Amy McFadden, Becki West, and Josh Fremer. The idea was formed when Jay and Josh did The Zoo Story together and had trouble finding an ideal, affordable space for the show. They also liked having a small intimate space to perform in, because so much of that show is dialogue rather than big sets and musical numbers. They realized there is a need for small black box theater in GR, so they started their own acting company which resulted in DST, a non-profit theater,” says Briegel. DST does not produce shows. Rather, it serves as an intimate and affordable venue for a variety of local artists. This provides a unique opportunity for emerging actors, companies, and playwrights. “We have had bands, hula hoop classes, ballet recitals, comedy/improv, storytelling nights, drag shows, you name it. DST allows any artist with an idea to bring it to the stage, without going broke in the process,” says Briegel. In other words, DST provides the space; local artists provide the entertainment. The fall season at DST features shows ranging from horror musicals to Shakespeare to drama. In October, The Tempest will be performed by DST’s resident Shakespeare company, Pigeon Creek Shakespeare Co. Local theater company Stark Turn Productions will also produce its annual Halloween horror musical, Children of the Corny. Next month features the new play Dress Your Wives in Floor Length Denim, a farcical look at marriage and polygamy. Also performing in November, up-and-coming company The University Wits will produce an original historical drama, Shadows at the Sanford. A unique aspect of the Theater is that it caters to more than just the acting community in Grand Rapids. In addition to providing a space for rehearsals and performances, DST also offers a variety of classes ranging from stage combat to zumba. In the past, DST has been a venue for LaughFest!, along with a variety of other comedy and improv programs. 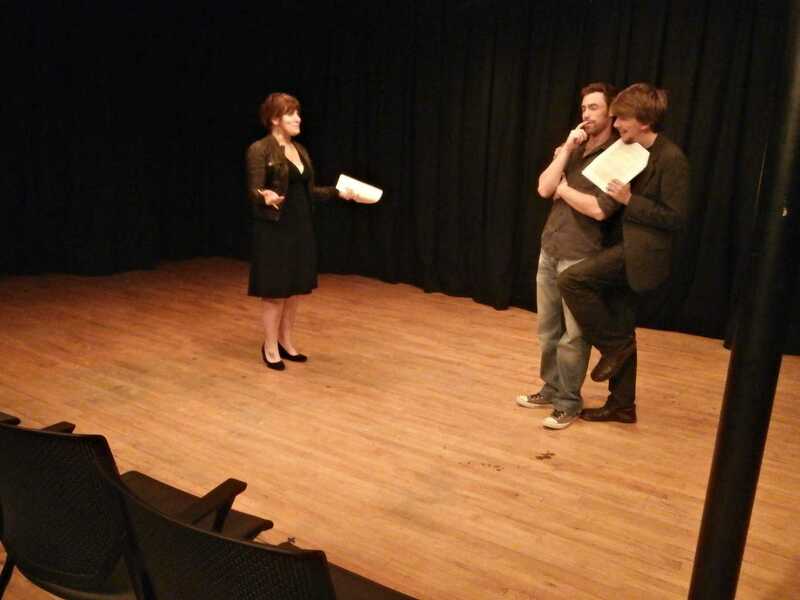 “DST has also collaborated with groups like Actors Theater and is the home base of groups like Lake Effect Fringe Festival, which fosters new and upcoming writers, directors, and shows,” says Briegel. Looking to become involved with local theater? DST is always looking for volunteers, as well as new artists to feature. Theater is a collaborative art form and with the support of the community, the Theater will continue to grow season after season. For the latest in theater news or more information on volunteering, visit DST’s website at www.dogstorytheater.com. Or better yet, head downtown and see a show! Tagged Dog Story Theater, Grand Rapids. Previous: Amanda C. A. Boyer: What Can’t She Create? Next:What’s Brewing: Strange Matter Coffee Co.